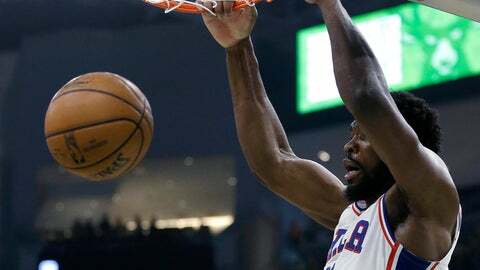 The Sixers‘ defense shut down Antetokounmpo in the first two quarters. He was 5 of 13 from the floor and had 17 points and seven rebounds before going 10 of 13 from the floor and 14 of 16 from the line for 35 points in the second half. Bucks: Nikola Mirotic started for Malcolm Brogdon, who is out with a minor plantar fascia tear in his right foot. Brogdon had started 64 of 69 games and is out indefinitely. … Recalled F Christian Wood from the Wisconsin Herd.